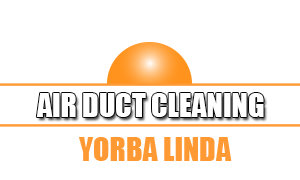 Our company offers air duct cleaning services in California and will provide you with the best results that are worth the price that you have paid for. We have been in the industry for a long time and we have already proven our name many times. As the top Yorba Linda air duct cleaning company, we have serviced residential estates and some of the most prestigious businesses in California. When clothes are being dried in the machine, lint from the clothes will become trapped in the vents. There are several ways in which air ducts can become damaged, and any one reason can lower the efficiency of your heating and cooling system. There is no greater joy than knowing that you can go into your home or place of business and freely breathe fresh, clean air. Whether you consider insulating your attic, walls or floors, you can count on us to do the job professionally. When you use our insulation services, you can achieve a high level of energy efficiency. Our team is proud to provide the fastest and best HVAC unit cleaning services available! Our professionals will have everything handled before you know it. You can find out more about us here.